If yes, you are at the right place. Welcome. This website contains a variety of healthy recipes that I like a lot and hope you will like them too. Please take a tour and you might find many recipes of interest to you. If you are in a hurry just bookmark this page and come back again later. I am a home cook just like you and Cooking is my passion. I believe that there is no bigger delight than to cook for your family and friends, good, tasty and healthy recipes. I am sure you will agree with me ...won't you? It is quite amazing how different international cuisines can be prepared by using the same set of ingredients. I think that food is the thread that ties us all together. Isn't that true? I love to play around with the ingredients and try to be creative. You should also cook to your palate's desire and experiment to your heart's content. You will see it is so much fun. Being an Indian my inclination toward Indian cooking is understandable (I mean who doesn't like the flavors of India). But my culinary periphery doesn't end there. I appreciate good food regardless of it's geographical origin. So it could be Pasta, Lasagna, Ravioli, Stroganoff, Stir fry, Sunday roast, Chili beef, Rendang or Chicken Curry (the list is endless).... the bottom line is that it is all delicious. In the end that is all that matters. Doesn't it? Having said that I think, being a little naughty is allowed....Right? I mean, how can you make a good chocolate mousse without double cream and chocolate? How can you possibly make mayonnaise without an egg and a cup full of oil???? Oh wait a minute... You can, yes you really can and I promise no one will know the difference. Check it for yourself, in the salad section. So what would you like to cook? Together let us make Cooking a joyous experience rather than a cumbersome task. Remember, if you enjoy your cooking process,the end result will be good. Cooking can be a great way to relax and to see a smile on your loved one's face is an added bonus which makes all your time effort and labor worth while. Whatever your likings are, I am sure you will not be disappointed. You can click on any of the links below or look to the left for the navigation bar and start browsing. 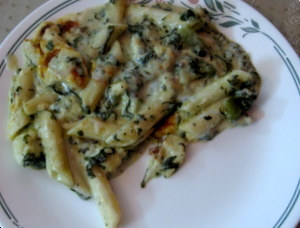 As the site grows, I promise to share many more of my recipes, so that you can enjoy some easy, healthy and tasty food. Last but not the least I would like to say a Big THANK YOU for staying with me for so long. Any Criticism, suggestion or query related to a recipe is always welcome. So please feel free to write through the 'contact us' page. The Creative Cooking Corner SiteMap is an index that lists at a glance the contents of Creative Cooking Corner website, grouped by subject matter for your convenience. Creative cooking corner's Sitemap-2 will list all the recipes under vegetarian section, rice recipes, raita recipes, desserts and some other important pages. This blog will keep you up to date with all the new pages I add to my website. You can enjoy ample free online healthy recipes. Looking for some easy appetizer recipes? Here are some easy appetizers for you. Surely you will like these easy and healthy appetizer recipes to serve in a get together, a party or dinner. Easy soup recipes any season. Make some easy soups with homemade chicken stock recipe and vegetable stock recipe or just water. Provide ample nutrition for your family with these healthy soup recipes. 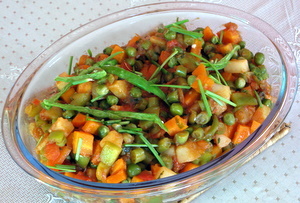 Vegetarian Recipes. Easy and healthy vegetable recipes including Indian vegetable recipes, vegetable side dish, roasted and grilled vegetables. Cook these delicious quick easy chicken recipes. With these chicken recipes, you will not get out of ideas for cooking chicken for your family. Cooking these Fish Recipes (Seafood recipes) is easy and healthy. 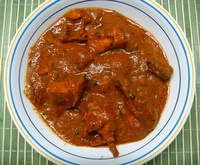 Recipes include Indian fish curry, Salmon recipes, grilled fish recipe, prawn / shrimp recipes and more. Meat recipes here include, beef recipes, lamb recipes and mince recipes. Recipes include Indian mutton curry , kebabs, roasted leg of lamb, Beef stir fry, Beef stroganoff and more. Raita recipes are yogurt based Indian recipes. Yogurt is flavored with different fruits, vegetables, herbs and spices. It is very quick and easy to make. Very healthy if made with low fat yogurt. Here are some simple dessert recipes for your sweet tooth. These easy to make dessert recipes include many fruit desserts, even some healthy dessert recipes and time saving quick easy desserts. Indian Food Glossary - Translation of foods from English to Hindi. Common Herbs and spices. Pulses and Lentils. 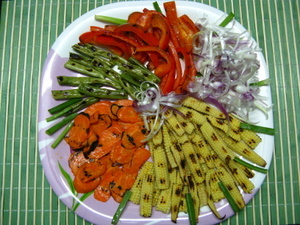 Vegetables and fruits. Also dry fruits and nuts. A collection of informative articles including food and health tips. Discover the benefits of various foods on our healths. Recipes from visitors is an opportunity for you to build your own webpage, absolutely free. Write a recipe, ask a question or answer a question. Help and be helped. Contact Us with your queries, comments and feedback, regarding any of our recipes. Browse and buy at this kitchen store for great discounts on all kitchen accessories, utensils and cooking supplies. Get the best deal on any product. Resources - A collection of some useful sites which offer free cooking, health, beauty and home improvement, information and advice for your benefit.